Adjusting the billing data settings is very simple. Press the (Billing data) button in Event settings > Payment settings. 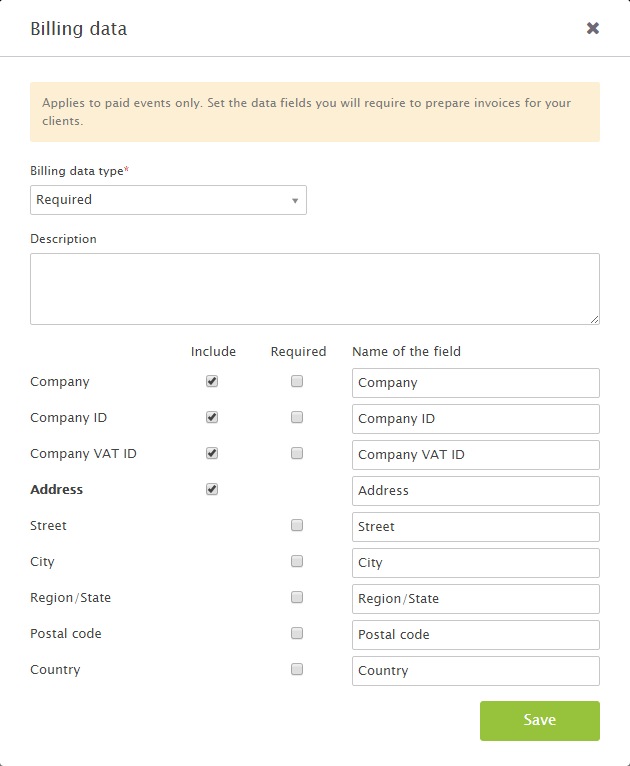 – Choose None if you don’t want to collect billing data. Important: If you pick the Add tax on top of the total price option in Tax settings, the Billing data will automatically be set to Required. You can select which pieces of information are required by marking the Required checkboxes. That way you can be sure that you have all necessary data to issue invoices.